Have you ever thought about the small things you do each day that might change someone's life forever? A simple smile, holding the door open, paying it forward in the drive through lane. These are simple things we can do in our everyday lives to make a difference in someone's life. But have you ever thought about doing something to make an eternal difference in someone's life? This is Katerin. She lives in El Salvador with her family where she is responsible for running errands and cleaning. She also likes to play with dolls. Richmond lives in Ghana with his grandfather. Richmond helps at home by carrying water and he enjoys playing soccer. Arjun lives in India with his family. He works at home by running errands and he likes to play with friends. Each of these children is currently waiting for a sponsor. Someone like you who will love them, pray for them, and encourage them as they grow up, learning more about Jesus from their local church and from you. As a sponsor, you have the opportunity to send them letters, reminding them that they are created in the image of God, and that He loves them very much. Sponsoring a child has been such a life changing experience for me. 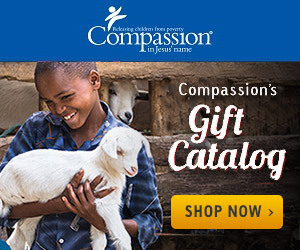 There are things I am willing to go without in order for us to be able to sponsor children through Compassion. This life is temporary, heaven is eternal. Knowing that we are making an eternal difference in the lives of these children gives me more joy than any temporary thing here on earth. Are you ready to take that step to be a sponsor? Comment below and I can get you started on your sponsorship journey today to help release one of these children from poverty in Jesus' name!